iOS 8.2 beta 3 download has just gone live over the iOS Dev Center. 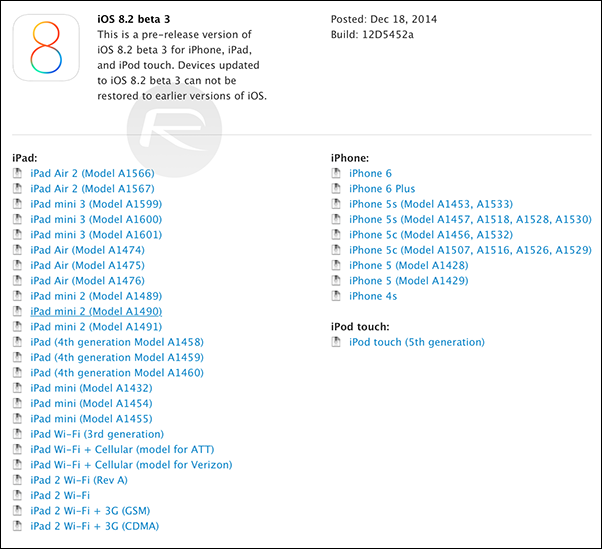 iOS 8.2 beta 3 is released only a week after Apple seeded beta 2 of iOS 8.2. More on what’s changed and what is new is detailed below. It’s not expected that the new software will hit the end user until the new year, but with the third beta now upon us, it’s well on its way, and if you’re a paying dev, you can download it from Dev Center. iOS 8 has already seen a lot of releases in a relatively short space of time. Arriving in September around the time of the iPhone 6 and iPhone 6 Plus, it endured a bit of a shaky start, with iOS 8.0.1 causing tens of thousands of new iPhone owners to lose cellular coverage and the use of the Touch ID fingerprint sensor. This rather major hiccup was rectified within hours, however, and since then, the software has gone from strength to strength. iOS 8.1 brought Apple Pay to the fore, helping to push the idea of seamless, contactless transactions, and with so may new implementations by Apple this year, the regularity of the updates shouldn’t come as too much of a surprise. Indeed, the major talking point of early 2015 won’t, so much, be iOS 8.2, but rather Apple Watch, the company’s inaugural smartwatch effort. With Android Wear beginning to take off through a number of Google’s manufacturing partners, announcing the wearable in September was a wise decision on the Cupertino’s part, since it means that many of those who might have gone for a Moto 360 or LG G Watch may instead hold off for the Apple alternative. iOS 8.2′s marquee feature is the pushing of WatchKit, which will enable developers to build great experiences that integrate traditional iOS and the Watch-based version of the platform. This beta contains bug fixes, with no further details mentioned in the changelog, but if we stumble across anything as we’re testing it out, we’ll be sure to update this article accordingly. 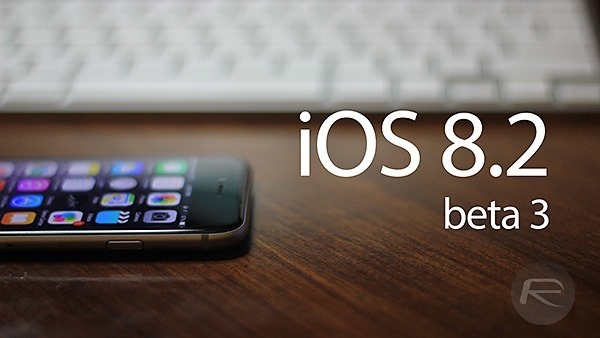 If you’re a registered developer, you can grab iOS 8.2 beta 3 via the Software Update feature. Oh, and if you happen to find any features or bugs worth sharing after installation, do let us know of your findings in the comments section.